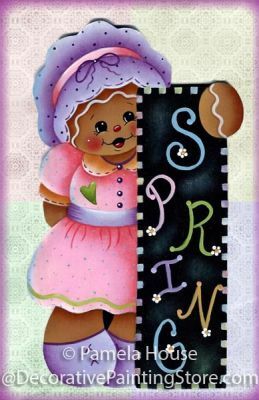 Ginger girl dress in spring colors and "SPRING" sign. Paint as an ornaments or frig magnets. 2 sizes of line drawing, instructions, colored photo included.